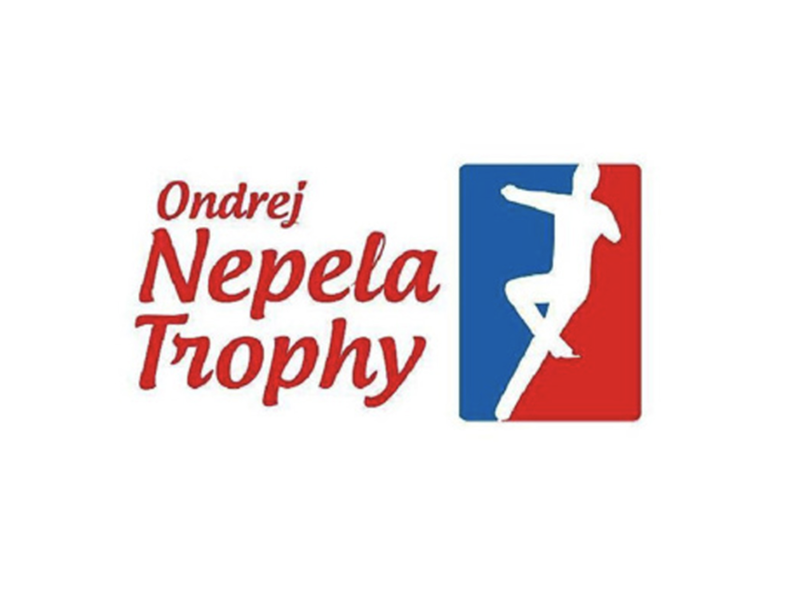 The fourth Challenger Series event, the Ondrej Nepela Trophy, took place in Bratislava, Slovakia, over the weekend. The event was streamed by the Slovakian Federation but most of the original feeds have been taken down due to copyright issues - you should be able to find most of the individual programs reuploaded to Youtube. Protocols and score breakdowns can be found here. 🏅 Rika Kihira rotated three triple Axels and landed two of them (one of them in combination) in her first outing on the international Senior circuit. She thus became just the fourth Senior woman to complete a triple Axel with positive GOE since the inception of IJS and the first to ever land a triple Axel-triple toe combo. Unsurprisingly she cruised to victory, clinching gold by a near 20-point margin and picking up a new-system world record for her “Beautiful Storm” Free Skate (which featured eight fully rotated and landed triples) in the process. We were so impressed not only by her jumps but the whole package - wonderful spins, a great balance of power and lightness, and serious commitment to her performance. All our congratulations to Rika on this amazing debut! Her first Grand Prix assignment is at NHK Trophy in November. 🥈 Elizabet Tursynbaeva also impressed in her first competition since leaving Brian Orser this summer to return to her former coach Eteri Tutberidze. Her Short Program to “Moonlight Sonata” looked solid and consistent, with almost every element +3 GOE or above. She had a bit more trouble in her “Otoño Porteño” Free Skate, with three of her triples being called underrotated and a fall on her triple Salchow-triple toe combo, but still gave a strong performance. After struggling with a rumoured hip injury last season, we’re glad to see that Lilbet appears to be back on form. We’ll be seeing her next at Skate Canada in October. 🥉 Stanislava Konstantinova rounded out the podium. Stanislava skated a clean Short Program to “Malagueña”. (Quick note: Malagueña is not only a classic but also heavily copyrighted, which unfortunately might get in the way of your catching up on the program with its original soundtrack - though there are some creative alternatives!) Like Elizabet, Stanislava had a little more trouble in her “Anna Karenina” Free Skate, with all three of her combinations called underrotated (two-footed landings on her double Axel-triple toe and triple flip-double toe, and a step-out on the triple Lutz-Euler-triple Salchow). All that aside, it’s great to see Stanislava back and medaling after the tough time she had at Worlds last season. Her first Grand Prix assignment is Grand Prix Helsinki. 🏅 Ashley Cain / Tim Leduc took their second gold in the Challenger Series after their win last week at US Classic, improving their scores in both segments. They had an easier time with their Short Program (a fun, jazzy number to The Electric Swing Circus’ “Bella Belle”) this time around, obtaining higher levels on nearly all their elements and managing a cleaner throw triple Lutz. Their Free Skate (set to the “W/E” soundtrack, which is a bit of a blast from the past) saw them score slightly lower in TES, with Ashley’s triple Salchow getting called underrotated, but higher in PCS. They have two Grand Prix assignments and we’ll see them next at Skate America in mid-October. 🥈 Deanna Stellato / Nathan Bartholomay took silver. This unusual pair, who claimed bronze at US Nationals last year, got together in the 2016 off-season when Deanna came out of a 16-year retirement (Deanna is 35 and Nathan is 29). Their Short Program to “La Cumparsita” went well apart from a fall on their throw triple loop. Unfortunately none of us were able to catch their Free Skate before it was removed for copyright, but it looks to have been clean, barring scratchy landings on their side-by-side jumps and what appears to a popped toe-loop in their combination. Their first Grand Prix assignment is Cup of Russia. 🥉 Lina Kudriatseva / Ilia Spiridonov, a young team who partnered up in the 2017 off-season, took bronze in their first outing on an international stage. You may remember Ilia from his successful Junior partnership with Amina Atakhanova. Lina and Ilia skated a good Short Program to “Call Out My Name” by The Weeknd. Lina had to put a hand down to save a throw triple Lutz gone awry but they were the only pair to get a level 4 (or indeed, anything above a level 2) on their throw triple twist. Their Free Skate to “Torn” by Nathan Lanier, which doesn’t yet appear to have made it back onto Youtube, was more of a struggle. Though they managed another nice twist, they popped their throw triple Lutz into a double, missed their first side-by-side combination due to a fall and popped their side-by-side triple Salchow. Lina and Ilia don’t have any Grand Prix assignments at the moment so keep an eye out for them on the Challenger circuit. 🏅 Mikhail Kolyada showed off two great new programs here. His Short Program was clean and we were as always impressed by the height of his jumps - especially his quad toe-triple toe combination, which the judges awarded +3.42 GOE in the Short Program, and the same combination, again completed beautifully, earned him +2.85 GOE in the Free Skate. The music he chose for his Short Program is by Muse and the program was choreographed by Stéphane Lambiel - his interpretation was wonderful and we’re sure this program is only going to grow as the season progresses. He had an overall solid Free Skate skated to music from Carmen, choreographed by Olga Kliushnichenko, despite a fall on his second quad toe attempt. He didn’t attempt a quad Lutz this time - we’ll hopefully see the return of that jump later in the season. 🥈 Sergei Voronov, our favourite veteran, showed us that age is only a number. This is his twelfth Senior season and he gave us two great performances! The lyrical Short Program, skated to “Appassionata” by Secret Garden, wasn’t quite there yet - the connection to the music felt lacking. He struggled with his triple Axel and his triple Lutz-triple toe combination, but the quad toe was still safely landed with positive GOE. The biggest surprise came in his Free Skate, where he attempted a quad loop! It was called underrotated but we’ll definitely keep an eye on it from now on. Apart from his quad toe which got slightly negative GOE due to an unstable landing and the underrotated quad loop with a hand down, his jumps were clean. The music chosen was “Way Down We Go” by Kaleo and it was choreographed by the late Denis Ten. The program felt very well suited to Sergei and the definite highlight was his fierce step sequence. 🥉 Keiji Tanaka had a rough time with his jumps this weekend, popping all of his quads into doubles or triples. Despite these struggles he managed to give two beautiful performances, and we’re pleased that he decided to keep his Short Program from last season, “Memories” by Gary Moore, with its wonderful expression and powerful step sequence. It’s definitely a program that suits his skating style. The Free Program, “William Tell Overture” by Rossini, also worked well for him - the music gave him room to show off his powerful skating. It’s so unfortunate that he’s struggled with his rotations, because all of the jumps in the Free Skate were landed beautifully. 🏅 Victoria Sinitsina / Nikita Katsalapov impressed with an elegant and sophisticated Rhythm Dance to Astor Piazzolla’s “Verano Porteño”. Their well-executed twizzles stood out, beautifully matched to the music. Their Free Dance to Bach and Kreisler had a totally different energy, lyrical and airy. All of their lifts were excellent, in particular their stationary lift in the Free Dance. Their programs felt very complete, which is impressive for this early in the season. After their Free Dance, they held the Free Dance world record - for about 30 minutes, until it was broken by Weaver and Poje at Autumn Classic International! 🥈 Lorraine McNamara / Quinn Carpenter is a young team, only in their second Senior season. The Rhythm Dance used music by Orquesta Color Tango De Roberto Alvarez. They had a strong performance and a very elegant rotational lift which was given +3s and +2s by all of the judges. We also loved their expression in the delicate yet strong Free Dance skated to “Porz Goret” by Yann Tiersen - in particular their twizzles and their rotational lift worked wonderfully with the music and holds much promise. 🥉 Betina Popova / Sergey Mozgov had a great Rhythm Dance using music by Maxime Rodriguez. The program felt polished and they moved very well together - the entry into their twizzles was captivating and the twizzles themselves were also very good. Regrettably, they got a deduction for an extended lift. They also had a fascinating Free Dance to “The Master and Margarita” soundtrack. It was a definite highlight of the competition and felt quite creative, though sometimes the music cuts weren’t as smooth as we would have liked. Their lifts in particular were dynamic - especially the rotational lift in the beginning was well-choreographed and well-executed. Watch out for the end where the two of them throw themselves onto the ice!